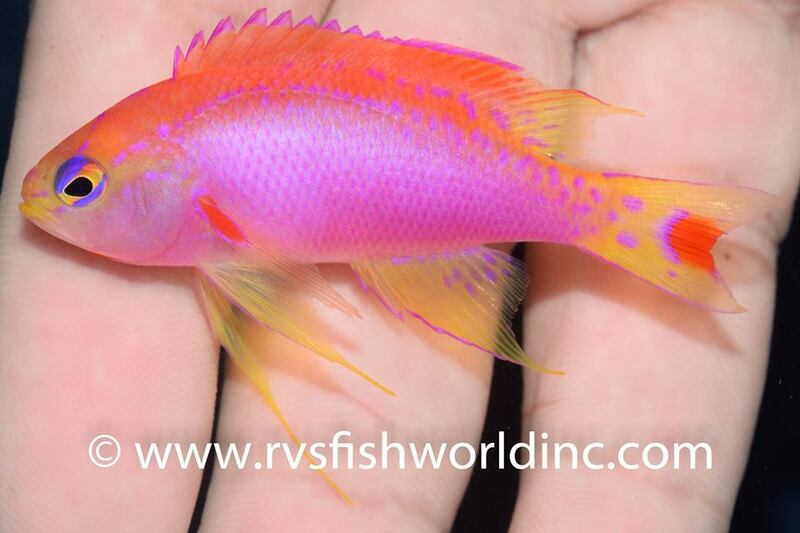 The Ventralis Anthias (Pseudanthias ventralis) is a delicate deepwater beauty with a popular following in the aquarium hobby. Specimens are normally encountered at depths greater than 100 feet, where they become a dominant part of the mesophotic ichthyofauna. 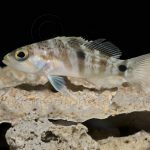 It’s long been appreciated by aquarists that there are several distinctive phenotypes found scattered throughout its Central Pacific range, but, aside from the population in Hawaii, the scientific community has yet to investigate this. The following guide will allow for a simple identification of their differences and discuss the biogeography of this species complex. The impetus for this discussion was the recent collection of P. ventralis from Cagayan, Philippines, which confirms its occurrence as a waif into the northernmost portion of the Coral Triangle. This specimen agrees in all its details with those found to the north in the Ryukyu Islands of Japan and to the east in Micronesia. 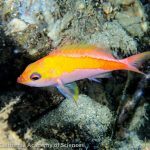 Based on the relatively small number of diver photographs in Japan, it seems likely that this fish exists in relatively low abundance here and is more representative of a species at the edges of its range rather than a distinct Japanese population. We see a similar situation with Ptereleotris helfrichi, another deepwater specialist with a broad range in Micronesia but only a minimal presence in Japan and the Northern Philippines. An earlier review of this species (Tea, 2015) left unresolved whether a population occurred in the distinctive ecoregion formed from Fiji, Tonga, Samoa and neighboring islands. 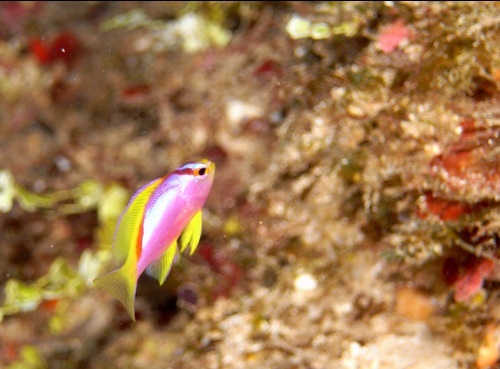 Included here is a photograph of a female taken in Fiji, confirming its presence. 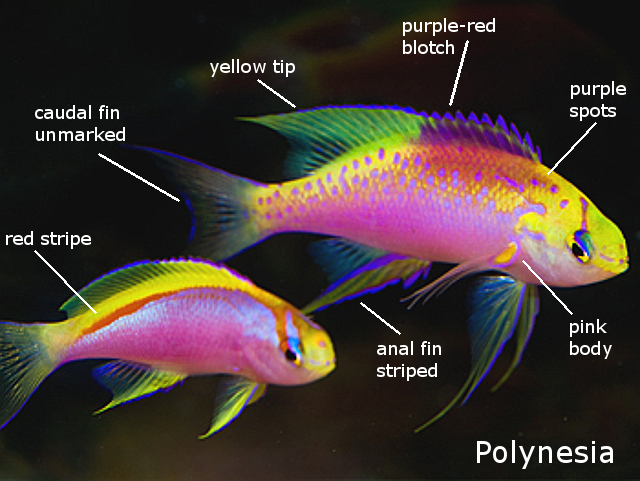 Additional specimens are reported by Randall, and specimens from Tonga are stated to have been exported for the aquarium trade. Unfortunately, images of the diagnostic male characteristics are unavailable. It’s possible that those collected from nearby Vanuatu represent this form, but these show no clear difference from the Coral Sea population. 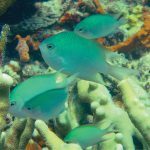 Given the general trends of speciation seen in this region, we would expect the Melanesian population to differ in some meaningful way, but more study is needed here. The populations found in Hawaii, Polynesia and the Coral Sea are treated sensu Tea 2015. 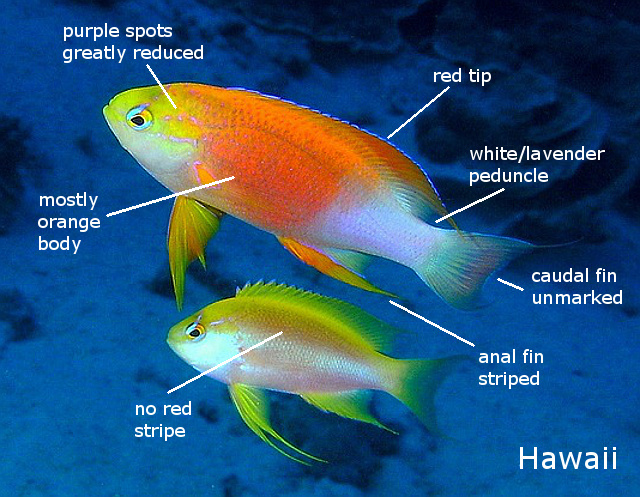 Those found in Hawaii have alternated over the years between designation as a species (P. hawaiiensis) and subspecies, but, while it is undeniably unique in its coloration, there is little else about this fish to suggest it differs more than any of the others in this species complex. 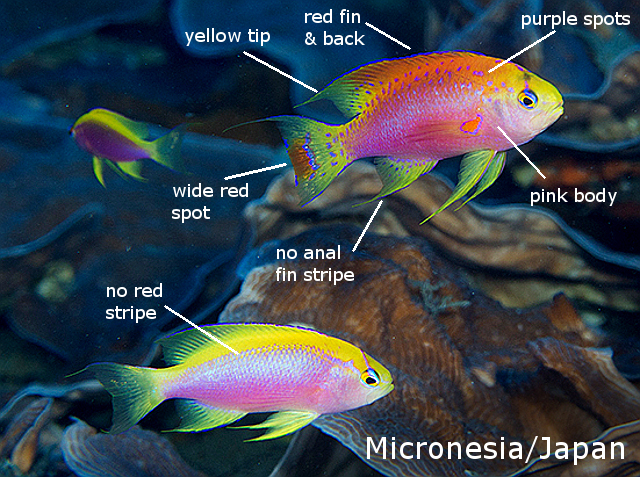 In Randall’s description of the species, he states that it shares a similar number of opercular serrae with the type population found to the south in Polynesia, while a specimen examined from Micronesia had a greater number (4-5 vs. 3). Given the many consistent phenotypic differences this group presents, there should be little doubt that at least four (and likely five) allopatric species exist. When we step back to look at the documented localities for this group, it seems evident that there’s an antiequatorial distribution, rather than the widespread Central Pacific biogeography suggested by most sources. Brian Greene (pers. comm.) 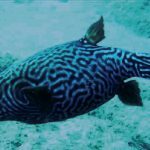 reports that a three-week investigation into the depths of Kiritimati found this fish to be absent, and it is likewise absent from a recent checklist for the Phoenix Islands. The equatorially located Gilbert Islands are also seemingly devoid of a population. A close parallel seems to exist in another mesophotic zooplanktivore, Pseudojuloides atavai, which has a wide disjunction in its range here as well. What causes this phenomenon remains essentially unknown. 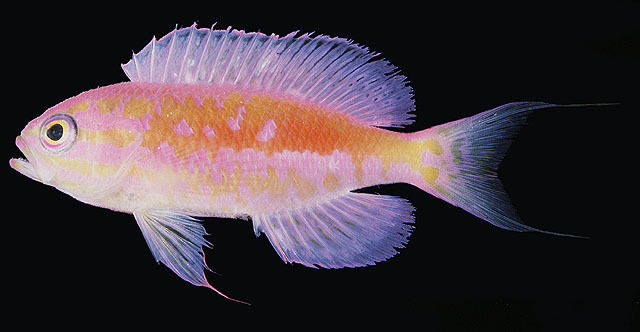 As a final note, I’ll soon be publishing a complete phylogeny for this genus in which I’ll present both morphological and genetic data suggesting P. ventralis is a very primitive anthias and likely warrants its own genus. 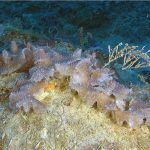 Its apparent closest relative is the deepwater Hawaiian endemic P. fucinus—a fish which has yet to be photographed alive in any detail. 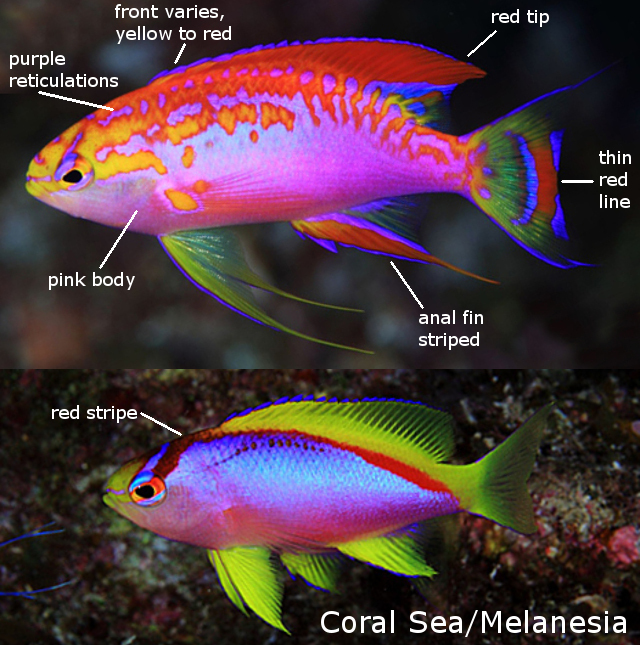 Both share similarities in overall size and shape, color patterning and an unusually low number of pectoral fin rays.